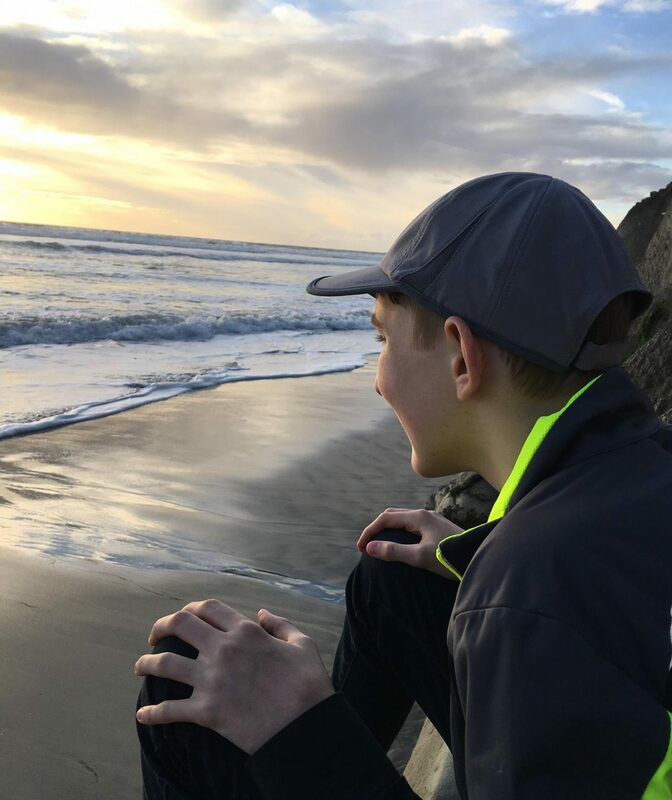 I’d like to introduce you to my son, Ian Aronow, a non-speaking autistic young man who has embarked on an incredible journey to discover a way to convey his voice to the world. Up until about a year ago, Ian was unable to communicate beyond a few simple spoken requests. Many of you coming to this blog will possibly already know of Ian’s back story–diagnosed with developmental delays at 20 months and autism confirmed by age 4. It has been a long journey of therapies, school, caregivers, diets, acceptance, difficulty, and little language through it all. How did this come to be? RPM. Rapid Prompting Method. And using a plastic stencil board with the 26 letters of the alphabet carved out of it (forever known as the letterboard). These became the keys to unlocking Ian’s voice. Through perseverance, trust, consistency, curiosity, a sense of fun and PRESUMING COMPETENCE (in both Ian and myself) he began to learn to point to letters on the board with control and purpose. It was like training for an Olympic event. Practice, practice, practice. Every day. Working through Ian’s unintentional body stims and motions. Building on obtained skills as Ian was able to, taking breaks and stepping back down to easier tasks as needed. At first, I had to assist and prompt Ian to reach and point to the right letters, until more and more he could “stand on his own” and point to letters to form the words he chose and wanted to convey. After a year of working and training so hard, Ian can now express his own feelings, thoughts and emotions–spelling them out as he points to each letter one-by-one on his letterboard. I, his proud mom and communication partner, transcribe each letter lovingly and with delight onto the page so that Ian’s voice, can finally, be heard. This blog will serve to introduce you to that wonderful voice and to teach you all about the ins and outs, mechanics, methods, and perspectives involved in this journey. Hopefully it will also inspire and open up your eyes to a new way of thinking about and seeing the non-speaking autistic community.